Crete is known as the island of all tastes. For this reason it is preferred by both the fans of luxurious holidays, and those who want to experience the genuine Cretan tradition. That’s why Crete Traditional Villas , are as popular as the luxury ones for visitors. Whether the villa you choose has all of these features or some of them, it is certain that the holidays in a traditional villa in Crete will be unforgettable! 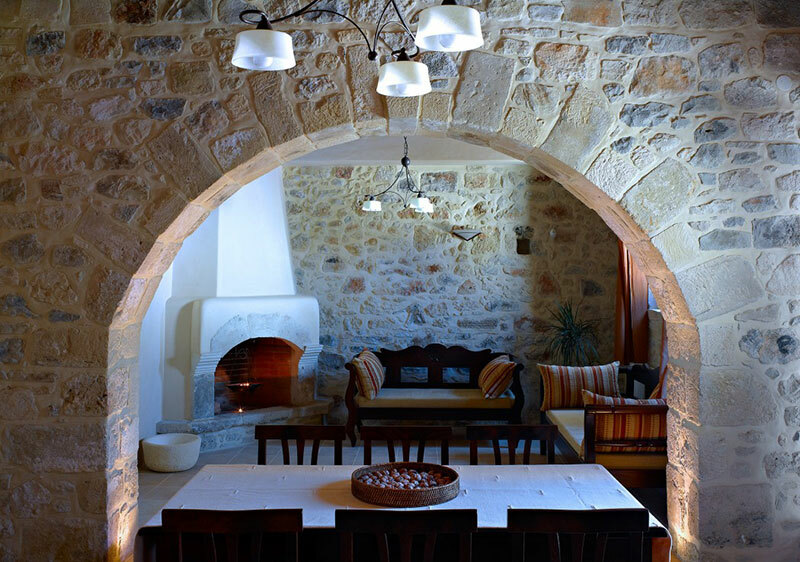 In all Crete Traditional Villas, the materials that will dominate are stone, wood and tile, which create a sense of hospitality in the atmosphere. A genuine traditional villa in will probably be in a village, with a swimming pool and a large garden. A traditional villa is usually decorated with more classic furniture with traditional touches and elements of Cretan art. Many traditional villas, dating back centuries when were used as mansions. Now, the owners have renovated them without changing anything from the character that they had at that time. 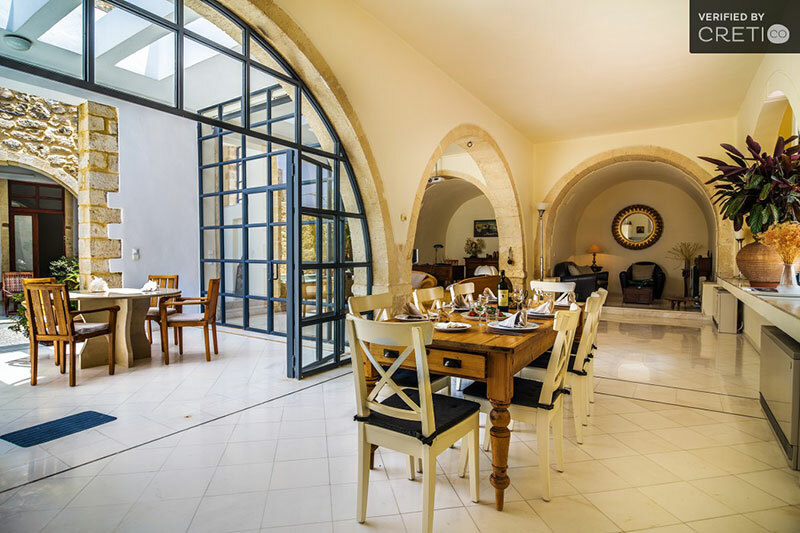 Wooden floors and stairs, stone arches and heavy doors are only some of the elements of the Venetian architecture characterizing the genuine Crete Traditional Villas. Most of Crete Traditional Villas are storey houses and have several rooms, so they can host a quite satisfactory number of visitors. Usually, in the ground floor you will find the living room, dining room, kitchen, and perhaps a small bathroom and a stone fireplace, if you want to spend your holiday in the winter months. Going up to the first floor, you will find the bedrooms and a second bathroom. Also, it is likely that the bedrooms have en-suite bathroom. Many traditional villas feature a loft which can be used as an extra bedroom or as a storage space. Comfortable outdoor furniture, a barbecue and even better, a wood oven is also something traditional villas are equipped with. You can experience exquisite culinary evenings in your garden with your friends or your family, taste the flavors of the Cretan nature. As for the pool, this is usually large and properly configured for both adults and children. 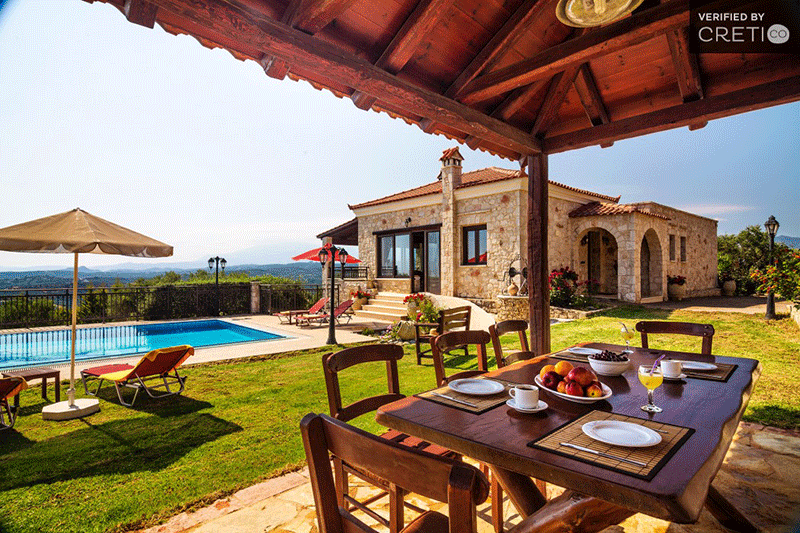 Several Crete Traditional Villas, have a heated pool as they are offered also for winter vacation. You also find a hydro massage pool, or even a saltwater pool, as they have become quite popular in recent years. The pool will surely have sun loungers and umbrellas so you can enjoy moments of relaxation in your private space. 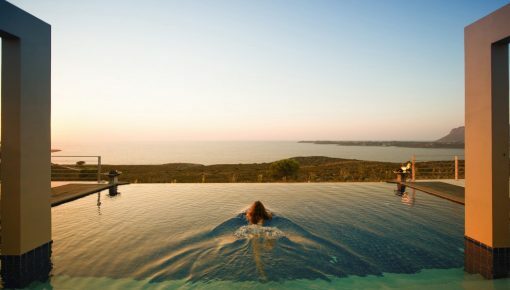 Although we are used to find extra services in luxury villas, a traditional villa in Crete may offer extra facilities that will make your stay even more interesting. 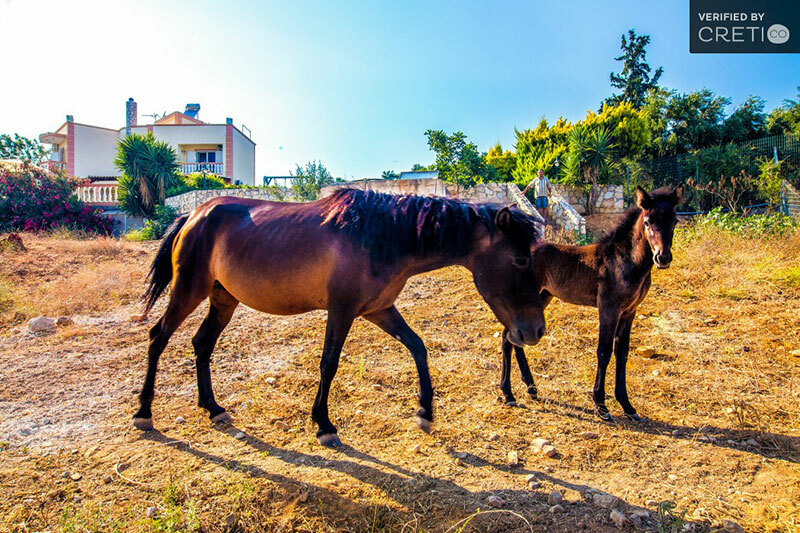 Agrotourism activities, for example, are very popular : Bicycles, horses, tours in the surrounding area, hiking excursions accompanied by a guide, riding lessons, cooking seminars and visits to wineries and tasting rooms in the area, so visitors can learn the secrets of traditional Cretan cuisine. Furthermore, as several traditional villa owners in Crete promote rural tourism, they have converted their villa into a farm. So you have the opportunity to look after your pets and live for a while as a native Cretan farmer. 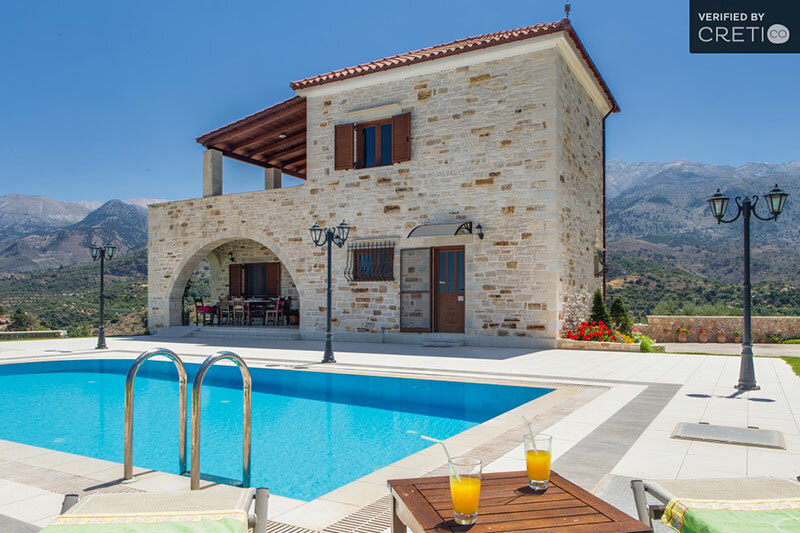 The price of Crete Traditional Villas, depends on various factors such as the number of bedrooms, the services offered and the location But you can find a villa for all budgets, from very cheap to quite expensive, for those who love tradition with a touch of luxury. In Crete, you can find several low-cost traditional villas with private pool, starting from 50 euros per night! 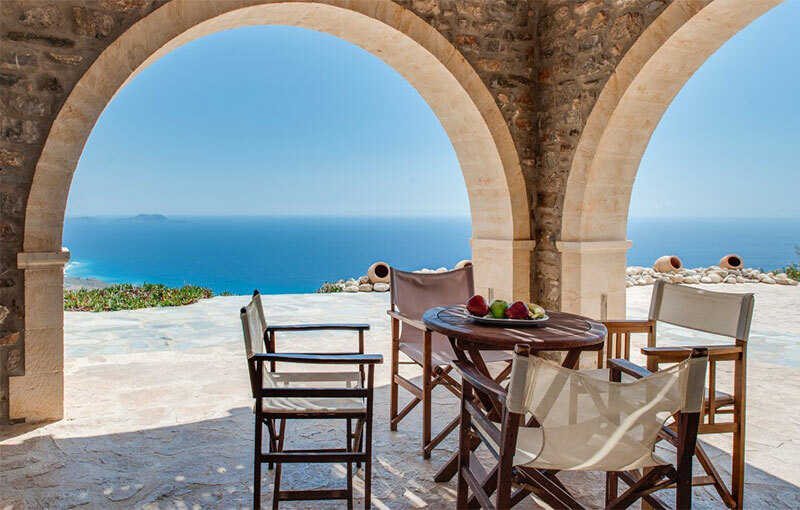 Traditional Stone Cretan Villa with amazing views, overlooking the Libyan Sea. Usually, when we have in our mind a traditional villa, we imagine a stone house on a hill, or in a village, offering breathtaking views of the mountain. 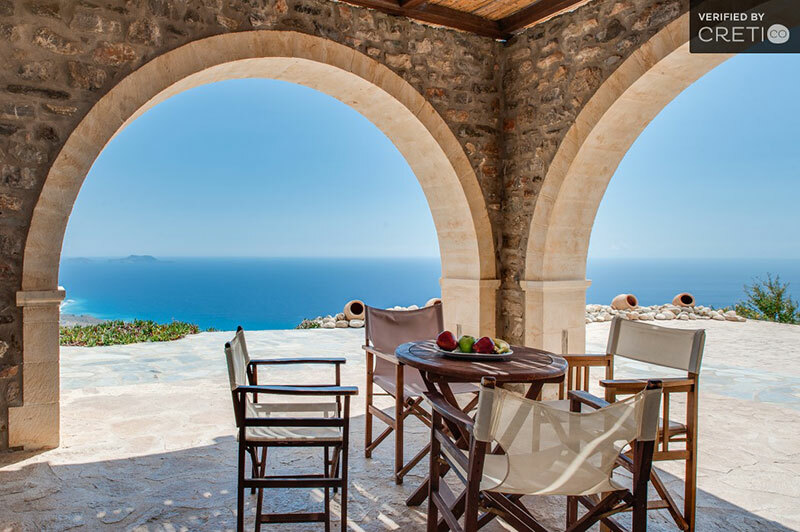 Most Crete Traditional Villas are located in villages, but many of them offer incredible views of the sea and, in many cases are within walking distance from it. Crete is an island known for the diversity of its landscape, as it combines mountain and sea views. 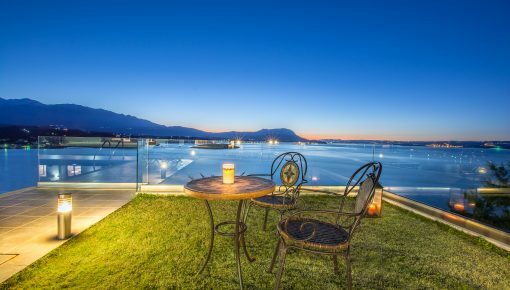 Considering this fact, we understand why the traditional villas in Crete are so popular. The variety of images offered in a traditional villa located on the mountain is unique: on one side the deep blue of the Libyan or the Aegean Sea, and on the other, the wild beauty of the Cretan sierras. Posted on 06 Mar 2015 in Holidays in Crete and tagged Traditional Crete Villages, Villas In Crete.